Classy, sleek, and speedy, Aston Martins are best known for their frequent roles in James Bond movies. These beautiful exotics are over a hundred years old, with the first car being built in 1915. The first Aston Martin was a three-seater car car built prior to World War I, and was nicknamed the “Coal Scuttle.” A coal scuttle was a metal receptacle shaped similarly to a beer pitcher used to transport small amounts of coal used within houses and businesses. Aston Martins have come a long way since the days of their coal scuttle cars. Let’s learn more about these beautiful and fast vehicles. In 1913, Robert Bamford and Lionel founded the car company, which was originally titled, “Bamford & Martin LTD.” The name Aston Martin emerged in 1914 when Martin built a car that tore through Aston Hill in Buckinghamshire, England. Aston Hill was a popular area to race cars in hill climbs. The Aston Martin logo features wings, which are actually representations of scarab beetle wings. A race car driver and Egyptologist designed the winged logo. At the time, ancient Egyptian art and culture was very popular, and the scarab was a very prominent symbol in Egyptian art and culture. In ancient Egyptian times, the scarab beetle was a representation of the sun god, Ra. In 1947, British tractor company owner David Brown discovered a classified ad in the newspaper advertising a “high class motor business” for sale. As a result, Brown bought Aston Martin and then later bought another British car company, Lagonda. David Brown helped Aston Martin grow and prosper, which did not go unnoticed. In 1968, he was knighted, becoming Sir David Brown. Also the DB lines of Aston Martins were named after David Brown as well. Nine out of 23 James Bond movies feature the lead driving Aston Martins. Aston Martins made their first appearance in the third James Bond movie, Goldfinger. Complete with machine guns and a bullet shield, the Goldfinger car was an Aston Martin DB5. Recently, James Bond drove DB5’s in both Casino Royale and Skyfall. In 1986, the famous Goldfinger DB5 was sold at an auction for $250,000 and stored in a Boca Raton air hangar in Florida. Unknown thieves stole the car in 1997 by driving a truck through the hangar doors. They then used the truck to drag the car out of its storage spot. This famous car was never recovered, and the thieves’ identities remain a mystery. This famous aston Martin is the fastest car the company has produced. Each car requires about 2700 man-hours of construction, which is just one of the reasons these cars cost $1.9 million. The One-77 goes from zero to sixty mph in only 3 second, with top speeds at around 200 mph. At Leonardo Diagnostic Tool, we love Aston Martins. 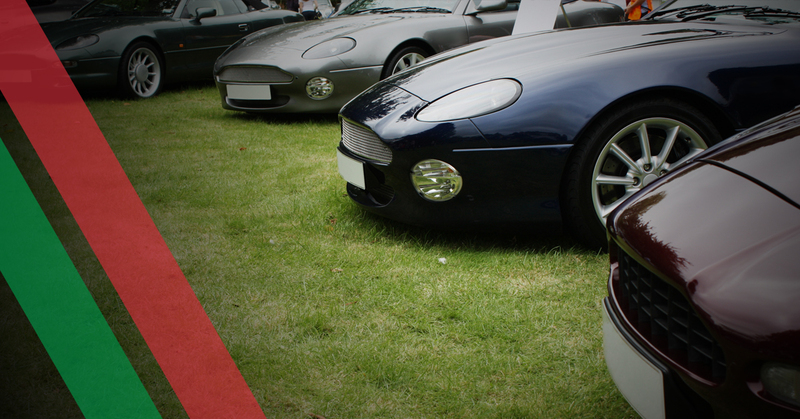 Our car diagnostic equipment works well with Aston Martins and other exotics. Contact us today to learn more about our diagnostic car tools and car scanner software today.